FROM THE FAMILY PET TO ATHLETIC COMPETITIONS, ACCURATE WEIGHT TAKING IS A MEASUREMENT OF FITNESS AND ABILITY FOR THE MEDICAL PROFESSION. ACCURATE SCALES CARRIES MODERN AND RELIABLE SOLUTIONS FOR VETERINARY, HOSPITALS AND CLINICS, AND SPORTS EVENTS. The 150-10-7 Portable fitness scale provides ultra-high accuracy. 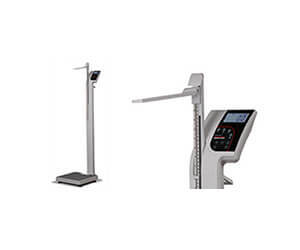 Ideal for wrestling and competitive programs, weight loss centres and fitness clubs to determine precise weight. Only weighs 14 lbs for easy transportation and setup. Modern design with contemporary function, the Rice Lake Digital Physician scale looks sharp while maintaining accurate results. Precision is protected in a heavy duty design that support up to 250 kg. Capable of transmitting electronic results to external devices, this an elite, forward thinking scale that is efficient on time. 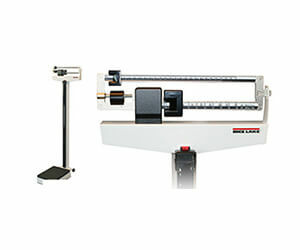 Dual die-cast beam for weighing up to 440 lb / 200 kg, the mechanical scale gives the classic, manual measurement. Easy to remove, slip resistant base makes the scale easy to move and clean. 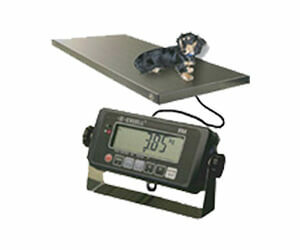 High durability for high traffic, the FM-3030 provides fast and stable readings that is ideal for animal weighing. 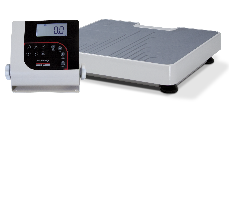 With filters to help with animal movement, selectable unit readings auto-calibration, this is an ideal vet scale for animals up to 300kg.